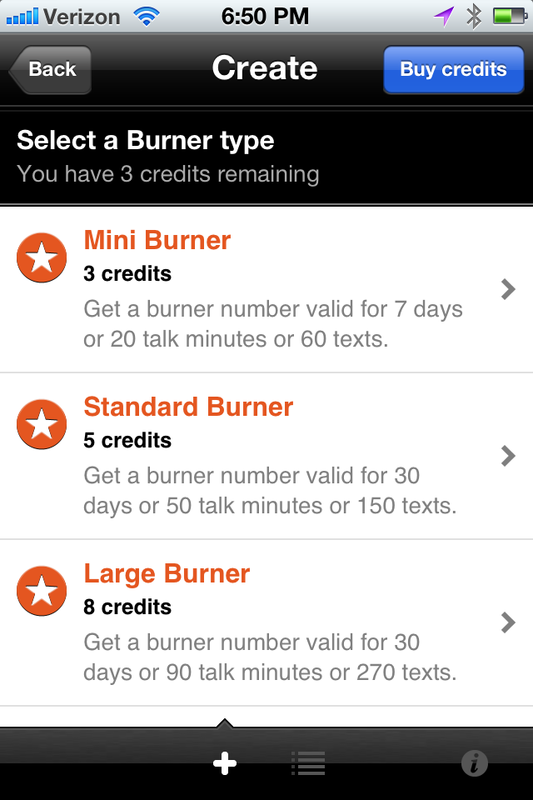 The Burner app got a lot of buzz this week. If you ever wanted a temporary number that you can later ditch, it’s a nice little option. I gave it a run and it does what it advertises. 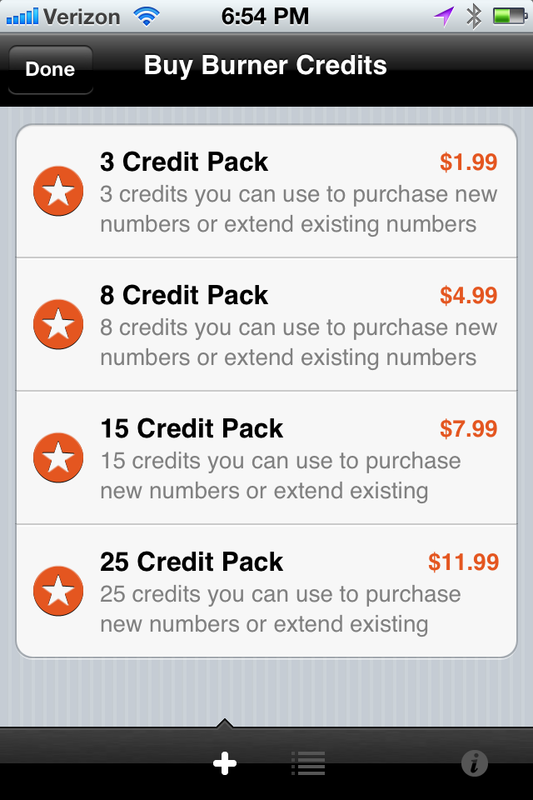 The app costs $1.99 and gives you three free credits. 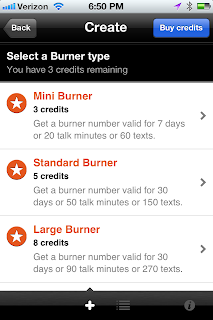 Three credits will give you "a valid number for 7 days or 20 talk minutes or 60 texts". You can "burn"/get rid of the number whenever you want. 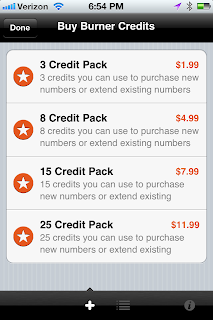 During this time, you also have access to your original cell number. See other options below. Still a reliable option. Want your number to show up unlisted? Just dial *67 followed by the number you want to call and your number will show up blocked. I also use *72 to forward my calls to my other phone sometimes (just dial *72 and the number and you'll hear two -three beeps) you can cancel the forward by dialing *73 and the number you want to stop forwarding it to. This app has been out for a while but is still decent for getting out of an awkward date or escaping a scene with a "talker". 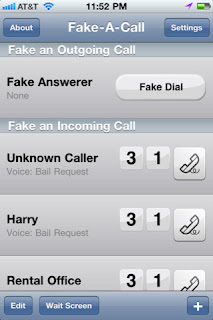 The app creates a fake incoming call with name and number and set time to ring. You can even go as far as setting up a fake FaceTime call, but I recommend you keep it simple. There's also the always free Google Voice - provides a free secondary number, call screening, voicemail, and texting. It also blends right into the functions of Android phones with nary a setup involved. 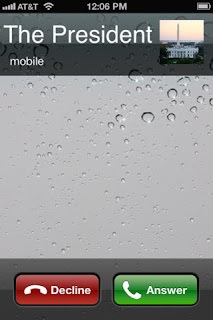 AT&T iPhones can set up forwarding and turn off ringer ID through the device. I use both of them entirely too often. I used it yesterday twice and it worked like a gem! And just an FYI - I never post anything with a good deal of testing!